DIY Handmade Journal For Self Care — Avilda Creates! 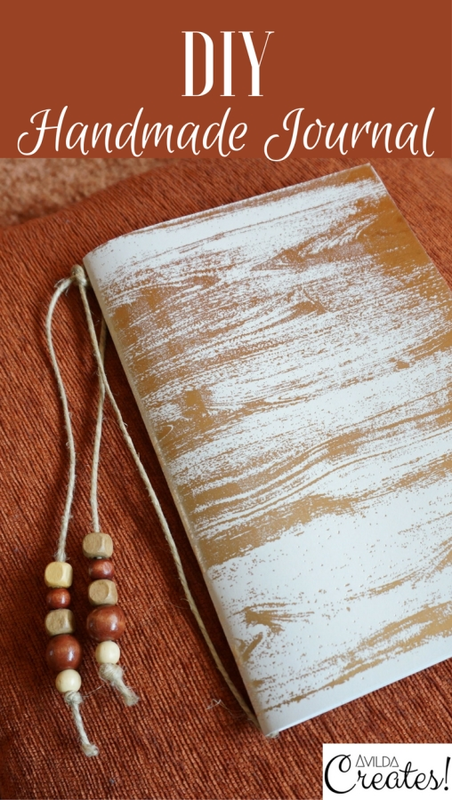 In this DIY craft tutorial, I am going to show you how to create a DIY handmade journal for self-care. 9x12 drawing pad that you can purchase for $1 at Dollar Tree. 12x12 Decorative scrapbook paper that can be purchased from your local arts and crafts store. A ruler A saddle Stitch stapler OR a thumbtack and 5 Staples. An exacto knife or scissors. If you do not have a saddle Stitch stapler you could use a thumbtack to poke holes into the paper and insert a staple manually. Use something hard like the blade of the scissors or perhaps a ruler to fold the ends of the staple in and secure it. Journals are especially useful during times of introspection, like the winter season. Depending on where we live in the world, nature gives us signals when it's time for us to flourish and when it's time for us to settle down and rebuild our reserve of Life Energy so that we can continue to live and fulfill our individual purposes. Winter is the perfect time for detoxifying our Lives. This can take the form of decluttering our homes, disconnecting from technology at varying levels, letting go of relationships that no longer serve our physical mental and spiritual well-being, creating a foundation for a more balanced and healthier diet so that we get optimal use out of these beautiful bodies that have been gifted to us so that we can have this human experience, and more. I'm sure you've seen at least one person have a serious vent or rant on Facebook within your lifetime, and I am certainly guilty of firing off in an effort to vent, myself. Althoough, you have to release what doesn't serve you and just let it go, it's best used with close friends and family, and needs to be followed up with some proactivity. Journals can aid us in this process of detoxifying our lives when used properly. Of those who follow through and commit to answering the questions that they've had regarding their challenges and circumstances, there are many people who do not record their process for attaining these answers, as well as the answers themselves, and are likely to suffer from those same challenges again in the future. Journaling serves as a record of our experiences that we can later reflect on and use to solve existing problems and become better versions of ourselves. I'm willing to bet money, that if you were to try journaling consistently just for about 2 weeks, when you reflect on you're writing, you'd find moments that may surprise you with regard to your state of mind in certain situations, or perhaps you'd begin to see a pattern in your own behavior, or even gain clarity about something that once confused you. You may even reconnect with something that you otherwise would have forgotten and buried if you hadn't written it down, and solve something that's been bugging you. The creative process has spiritual and emotional healing properties. Creating a work of art, poem, dance, song, recipe or even a movement is one of the most empowering experiences one can have. It requires that you enter a situation with the knowledge and experiences you have, only to find that it's not enough to reach your goal. It forces you to try, fail, and succeed as you develop into a more complex being, and emerge having learned lessons that will reinforce the foundation of who you are for a lifetime. In the initial stages, when you begin to learn how to construct a journal by hand, you might experience moments of elation from having succeeded in certain parts of the project, and you may also feel moments of frustration because something just isn't going the way that you've planned. Every Journal you create thereafter will be easier and easier, and if it's something that you truly enjoy, it would take no effort for you to enter a flow state during the creation of these journals. If you would like to further explore effective journaling practices with me, I invite you to join the Creative Self-care Community!. Join The Creative Self-care Community! If you've enjoyed this article please like and share!